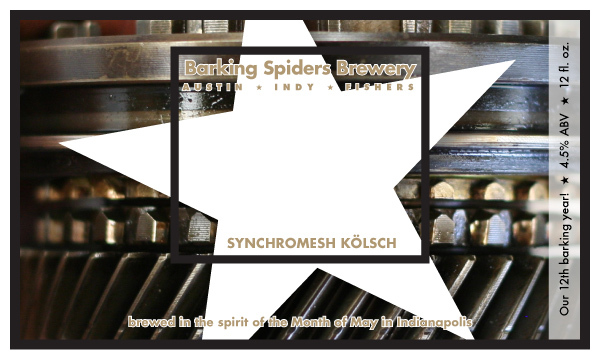 Fermented during Indianapolis’ finest time of the year, the Month of May, the newest offering from Barking Spiders Brewery is now pouring. Synchromesh Kölsch is a quenching summertime pleaser named in honor of our newest learning opportunity. Replacing the 5th gear set on the Volkswagen will almost certainly require a not insignificant portion of Synchromesh Kölsch. 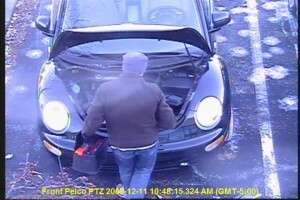 Car batteries hate cold weather, and in my experience, it’s pretty much a given that they will give out on the first day with temperatures in the teens after the free replacement warranty period ends. Further, the battery will only die when it’s away from home. Late last week this confluence of factors prompted me to replace the VW’s battery directly in front of the main entrance of my workplace. Given the nature of my workplace, there was a video camera watching the whole time. The replacement went reasonably quickly this time around, given my numb fingers and the amount of stuff that needs to be shuffled around in order to make room to squeeze the battery in and out. 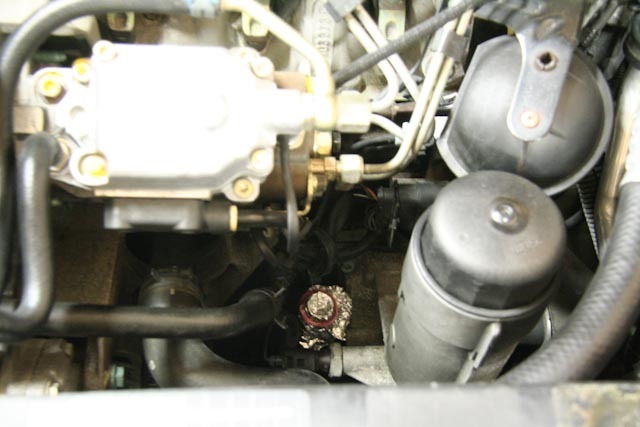 And, since something is never fixed without something else breaking to take its place, I snapped the plastic dipstick holder right off. Fortunately, I found a replacement dipstick tube online for about 1/5 of what the dealer probably would have charged. While it’s in transit, good old aluminum foil and a rubber band are doing a bang‐up job of keeping stuff out of the hole.